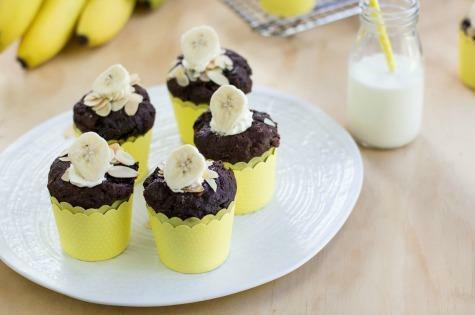 You'll go bananas over these! 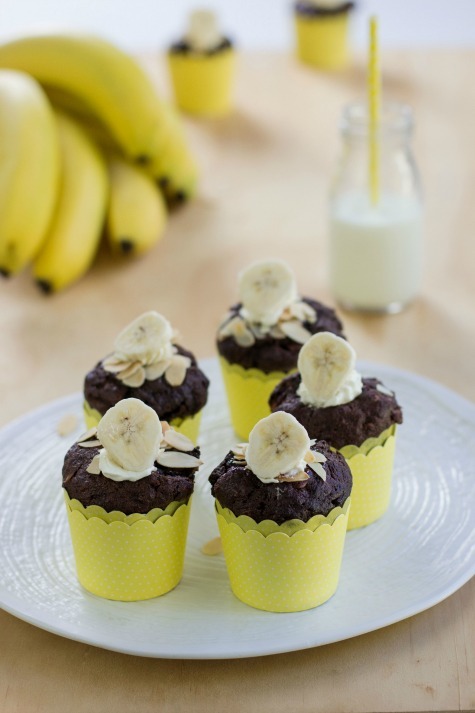 These Banana Double Chocolate Almond Muffins are the perfect afternoon treat packed with the nutritional value of Australian Bananas and complimented with the indulgent taste of milk chocolate. Pre-heat the oven to 180°C. Prepare a muffin tray with 12 or 16 muffin papers. Sift the flour, baking soda and cocoa together. Mix the bananas, caster sugar, oil and eggs in a large bowl until well combined. Add the rest of the ingredients (flour, cocoa, baking powder, chocolate and 50 gm of the almonds) and stir until just incorporated, without over mixing. Fill the muffin papers to just over 3⁄4 full and sprinkle with the remaining almonds. Bake for approximately 20-25 minutes or till cooked in the middle when tested with a knife.